the Sun Room while enjoying the view of the lake. Fully Equiped Kitchen, Linens & Towels, No Pets Please. 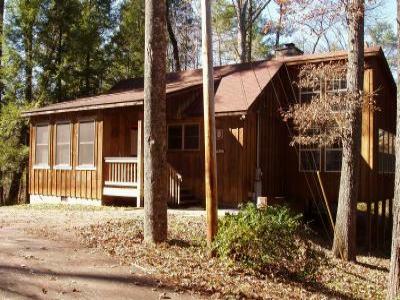 The cabin is located in a gated community with security. Rent 6 consective nights and get the 7th night free! We reserve the right to require minimum stays during certain periods.